Come meet Frilla, Feila, Neisti and Lutja. 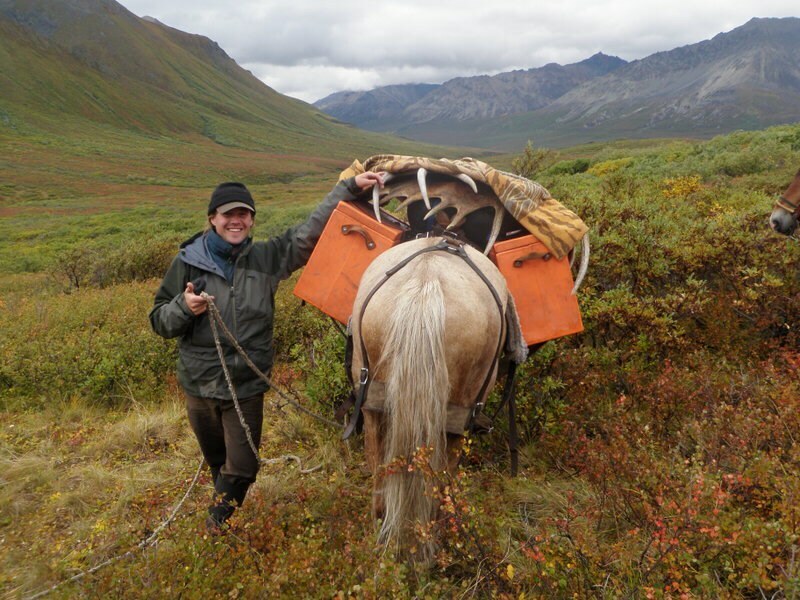 Our sturdy Icelandic horses provide a unique and fun way to experience the remote Alaskan wilderness. 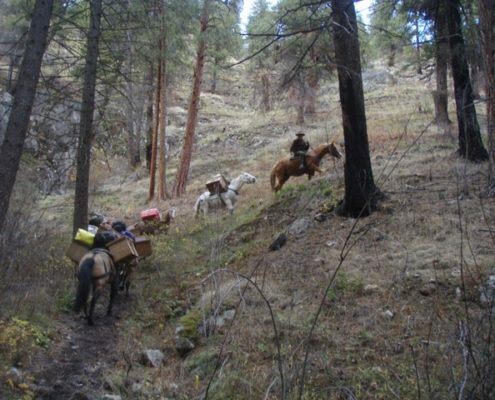 Whether on a day ride, a week-long pack trip, or as your personal support staff for a longer backpacking expedition, these friendly and outgoing horses make any outing memorable. 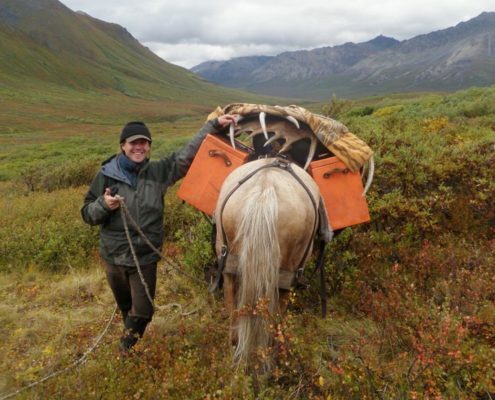 Also check out our Horse-packing intensive clinic. Join us! 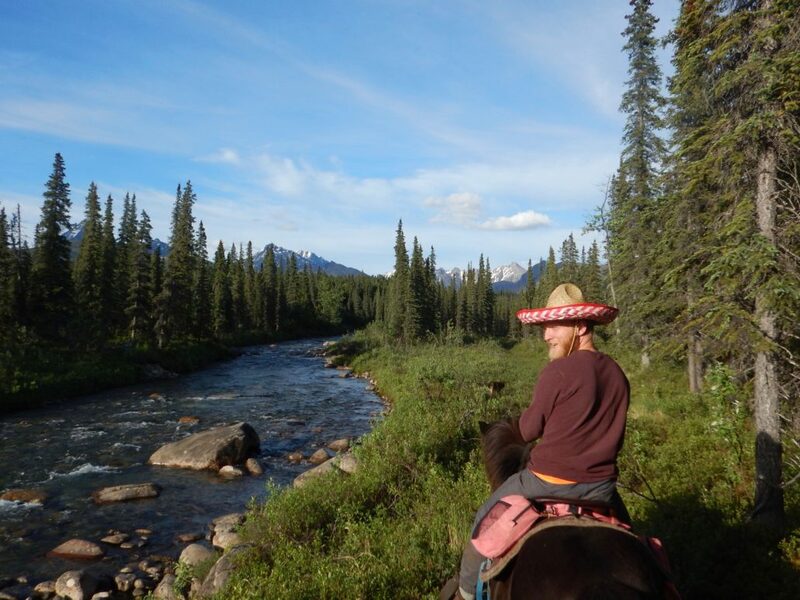 Benefit from our 17+ years of combined horse experience for a unique back-country adventure. See our tour options below. 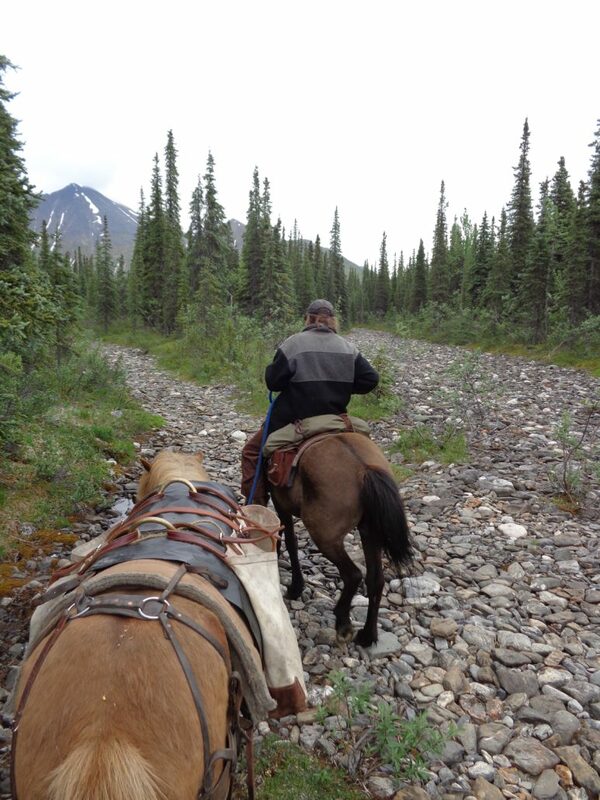 Traverse the rugged Alaskan landscape from the saddle! 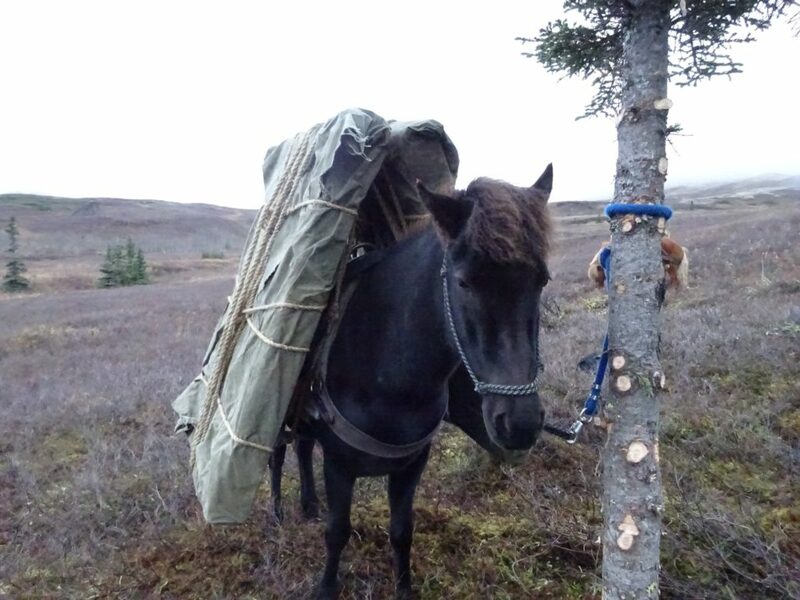 Our sturdy Icelandic horses are sure-footed and friendly- The perfect way to enjoy ease and comfort of travel through the backcountry. The homestead is lucky to be within reach of numerous different day rides for all skill levels and in many different environments. 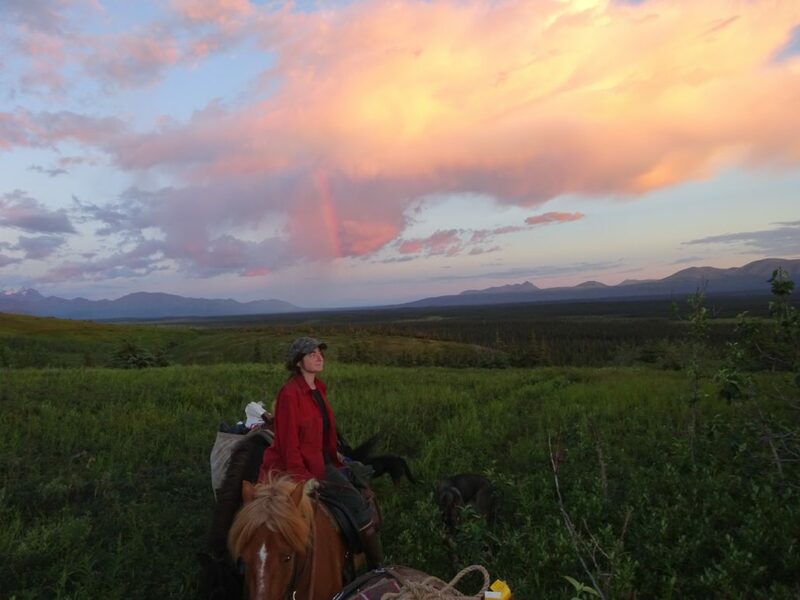 Choose from half or full day rides, get up in the saddle, and enjoy the view! Ride to alpine lakes, Apricity’s own natural “Stonehenge,” or into the foothills of an unnamed Mountain Range. Along the way, watch for birds, pick blueberries in season, and watch for Grizzly Bears. Contact us today to Book your adventure. 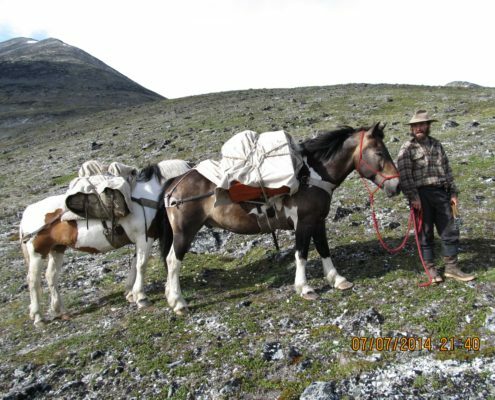 Horse supported trekking adds a little luxury to your adventure! 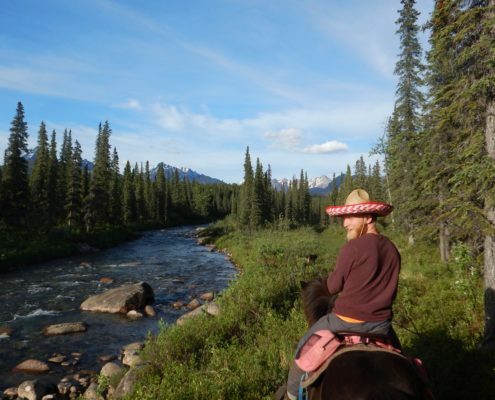 Explore the Last Frontier on foot without the hassle of a backpack. 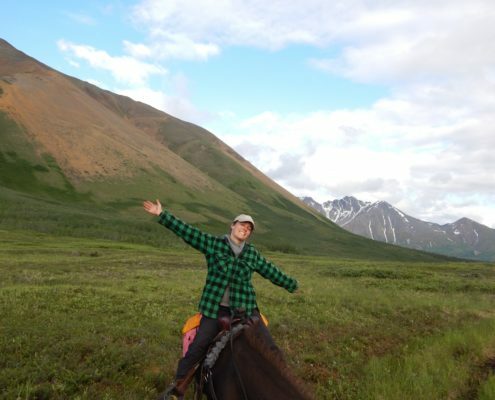 Hike across the pristine Alaskan Landscape with a light day pack while our Icelandic horse herd carries our comfortable camp. Days spent trekking through foothills and forests filled with abundant wildlife will be forever be etched upon your memory. Overnight and multi-night excursions are available and all outings are personalized to the your comfort level and ability. 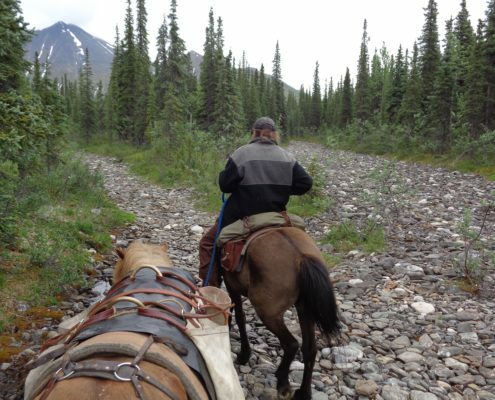 Spend your day traversing upland tundra, rocky foothills, boreal forests, and creek gravel bars. Learn about the unique and rare native flora and keep watch on the skies for migrating birds. Arrive at your camp for the evening and enjoy company and camp fare by a crackling fire. Fall asleep under the gaze of the midnight sun. 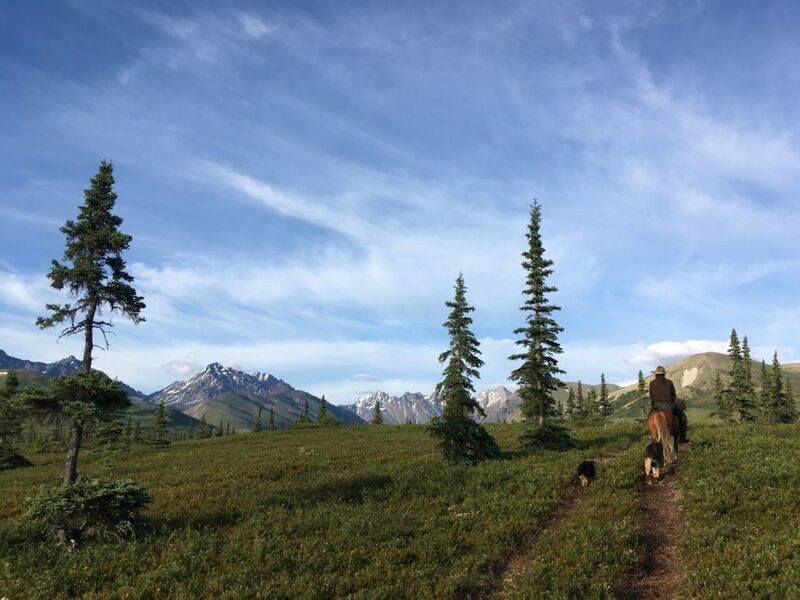 Come morning, enjoy an old-fashioned cowboy’s breakfast around the fire while tents and gear are loaded up onto the horses. 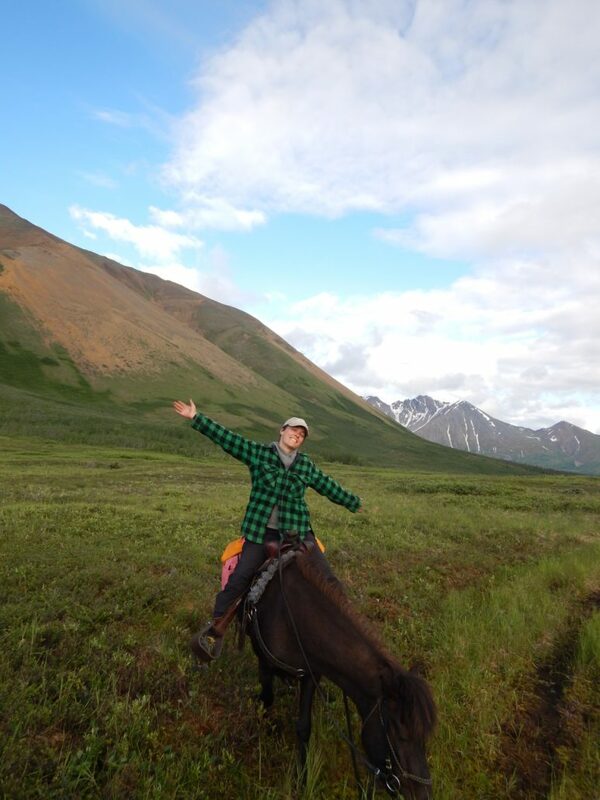 Enjoy another day of hiking through some of the most remote country in the immense state of Alaska! 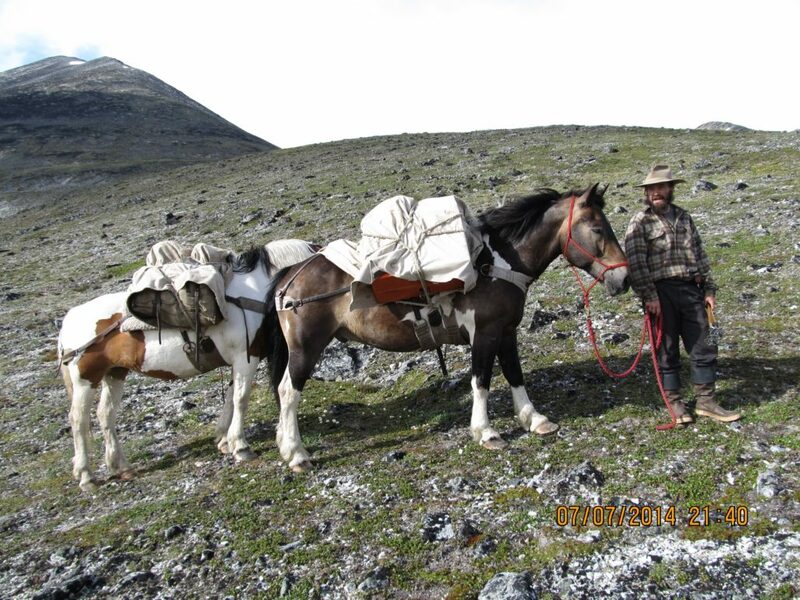 Talk to us about customizing YOUR horse trekking adventure. 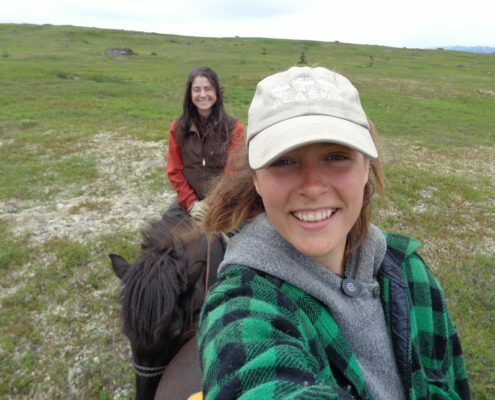 This course is geared for those with previous equestrian experience. 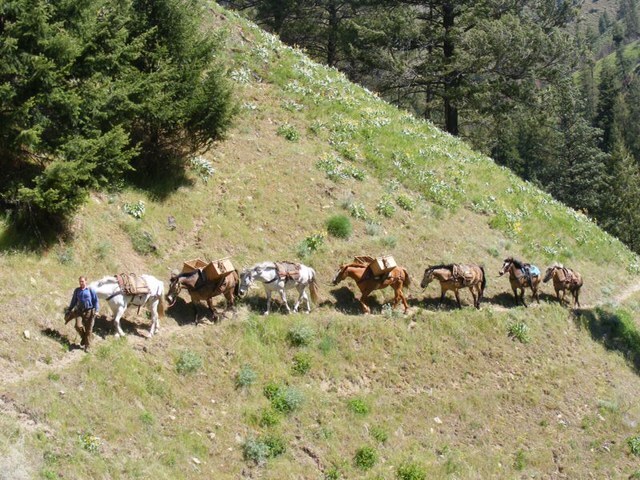 It is a perfect choice for those with their own horses or those with a desire to work as a horse packer. 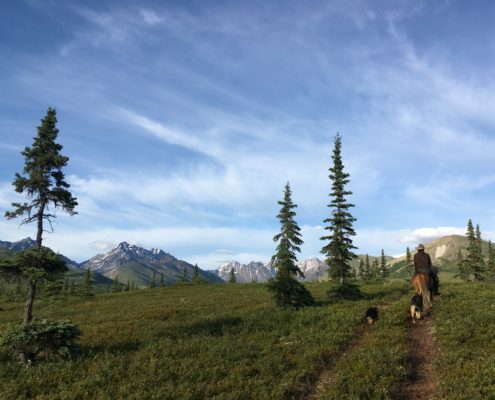 This horse-packing curricula packs as much practice and as many lessons as we can into a week of long summer days. 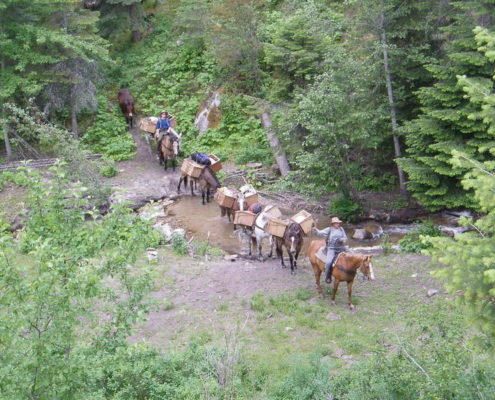 Package includes one on one instruction in packing Decker, Sawbuck and Western riding saddles. Also learn to make a soft pack with no saddle at all! 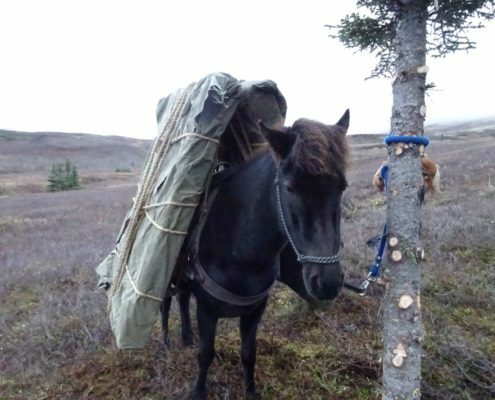 Loads will be tied into mantys, slung in boxes and soft panniers with crows foot and barrel hitches. Extensive instruction and use of single and double diamond hitches. Learn saddle repair and rope splicing skills. Make your own lash cinch to use and keep. 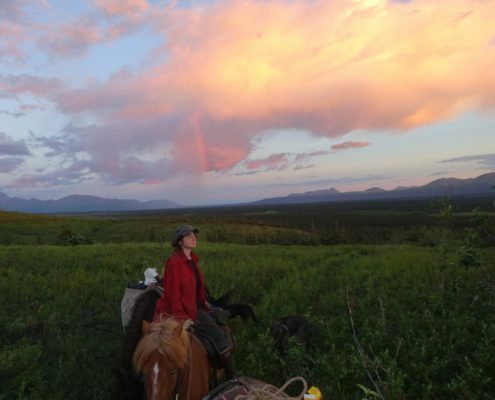 Gaited horses, good gear, and your choice of riding saddles. 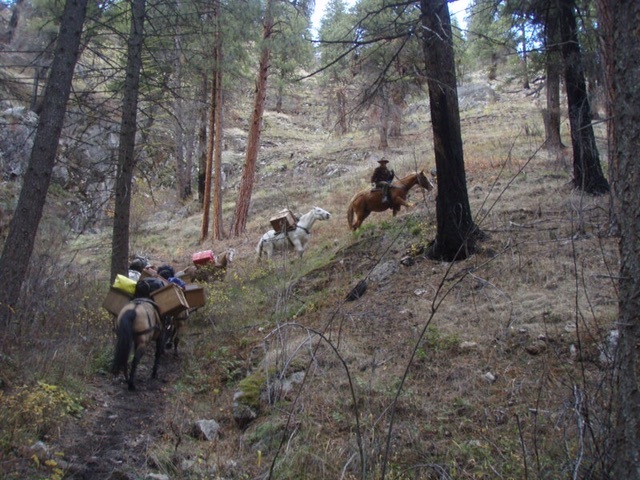 You will lead your own pack horse with increasingly challenging loads and trails. Learn how to spot problems before they become wrecks and ‘watch out’ situations ahead of time. 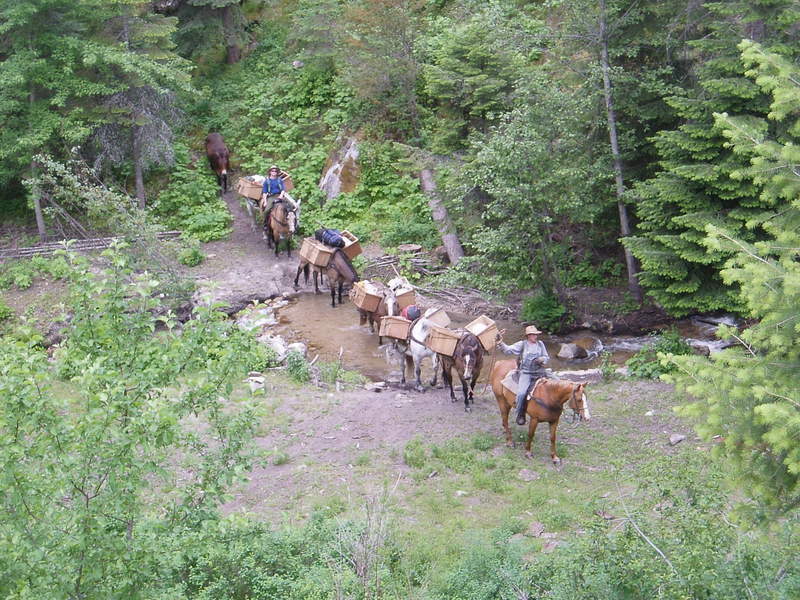 After this class there won’t be a common load or a saddle you won’t be able to tackle and get down the trail. You will have the experience gained from hundreds of pack trips at your disposal to help you become the most effective, safest packer you can be. Max rider weight 220lbs. Students should be in decent physical condition, able to lift heavy loads and walk a few miles. For those interested in less intensive packing instruction or larger groups, we can make it the theme of a homestead stay or horse trek.